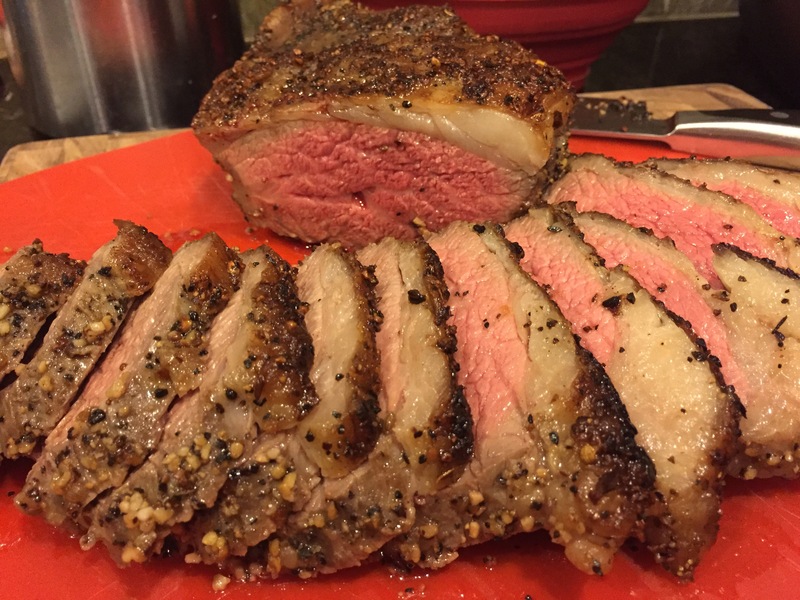 Ok, so I am pretty proud of this hunk of meat. I’ve never made tri-tip before (usually hubs makes it) but there was a great sale on it at the store ($3.99!) so I decided to try it. I’m quite pleased with how it turned out! I used a very simple recipe found here (I used the oven method). 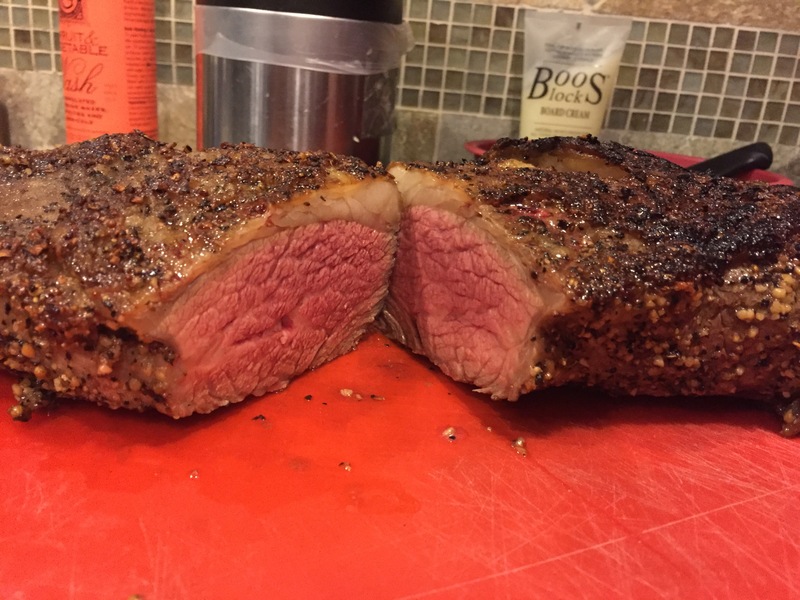 I did not trim off the fat because I love my meat with a bit more fat for flavor (who else feels me on this?? ), and boy was it good. I rounded out the meal with roasted potatoes and brussel sprouts. Try the recipe and let me know how yours turned out! « Jumping in late with Instant Pot posts starting… now!